Derale Electra-Cool Remote Oil/Trans Cooler are recommended for use to effectively and efficiently cool engine oil, transmission fluid, power steering fluid or fuel. 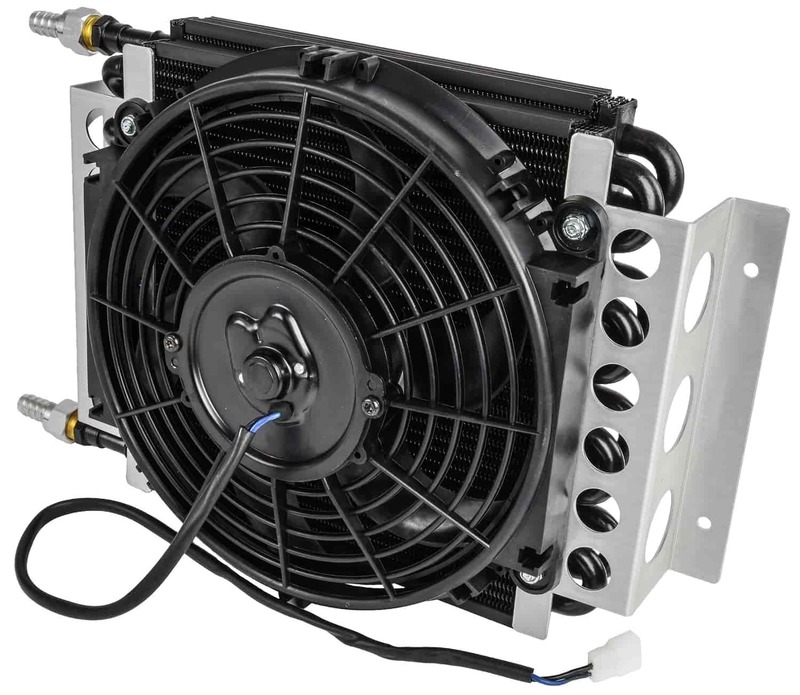 The fan assembly ensures optimal surface to air heat dissipation even when the vehicle is at a standstill! 15800 is rated 5.0 out of 5 by 1. Rated 5 out of 5 by CharlieLed from Derale Trans Cooler I just received this trans cooler last week and have yet to install it...BUT...based on the quality of the materials and the excellent fit and finish of this item I am very pleased with my purchase. I would have expected to pay much more for a "Made in the USA" trans cooler of this quality.